My parents met and I was born in Luxembourg, while they both lived there as expats. I blame them both for my nomadic streak! Dad and I shared a passion for Edith Piaf’s music, which helped me learn French and while I was learning Spanish at school Dad took some classes too. I didn’t know it at the time, but he was scheming and a few years later my parents bought a small flat in Southern Spain, where they used to enjoy trying to make sense of the Spanish way of life. 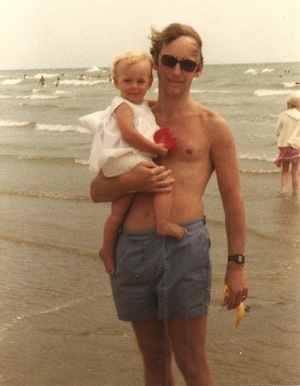 When the conversation came up, Dad encouraged me to have a gap year. Unable to conceal his own passion for travelling, he told me what he could about the places I was to go to that he had already visited and would always tell me if something of interest appeared in the media. We developed a little competition between us to find the least tasteful souvenir possible to present each other with whenever we next saw each other. Memorable gems include a mini statue of the Mannekin Pis in Brussels, a large fat sprawling wooden hippo from Kenya and a rocket inside a snowglobe from NASA’s Kennedy Space centre. I was soon living overseas and while I was living in the Bahamas Dad got posted to Barbados. 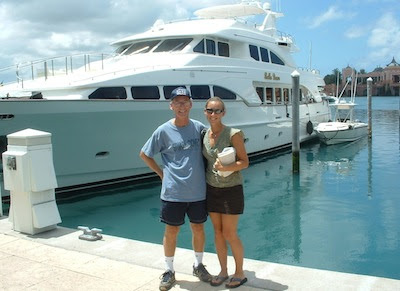 While he was there he visited Nassau often and we managed to see each other more frequently again. 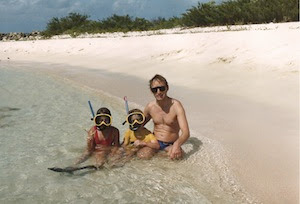 I later found work in Barbados and lived with Dad again sharing rum-fuelled catamaran trips whenever we could. Although based back in the UK recently, Mum and Dad kept exploring the world whenever they could. They enjoyed quick trips in Europe but also far flung destinations such as South Africa and Australia. However Dad’s journeying days ended abruptly in 2010 when he died of malignant melanoma. I think of him all the time of course, but especially on his birthday, I celebrate him, his travels and the travelling he has inspired me to do. Dad sticking out a bit in Sydney, Australia in that Akubra! 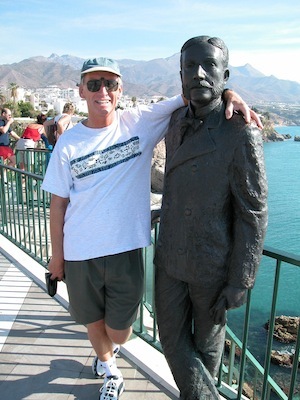 My Dad is my travel hero – who is yours?